Pro Carpet Cleaners’s speciality is providing premium carpet cleaning services throughout W8 Kensington at very affordable rates. Over the years we have established a relationship with customers, based on thrust and communication. How? We hire only professionally trained, vetted and fully insured technicians who carry their own specialised equipment and use only biodegradable cleaning products in the process. Our customer service cannot be matched as all cleaners who work for the company are always punctual and obliging – they’re ready and willing to answer customers’ questions and comply with their requirements. Give us a ring if you want a sparkling clean carpet! Looking for a reliable carpet cleaning provider in Kensington? Seems like today is your lucky day as you just found one! 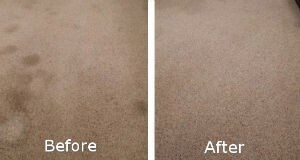 We’re among the most sought after carpet cleaning providers in the area and will restore your carpet back to its original glory, using nothing but advanced equipment and chemical-free products. Carpet cleaning is nothing but a piece of cake for our experienced and knowledgeable staff. Yet, it’s a very detailed and demanding process and depends on the type of carpet that is to be cleaned. 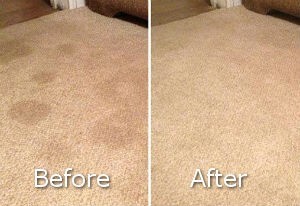 That’s why the technicians always begin with a pre-inspection to identify the type of stains on your carpet. This is a necessary step that helps us to determine which method and detergents would be most suitable. The team performs a pre-test on a small area first since the last thing we want is to damage your carpets. Our services can be found also here: Maida Vale, Marylebone and North Kensington. Once stains have been identified, our technicians will pre-groom and pre-vacuum the carpet in order to remove dust and soil from the fabric. They will either dry clean it or use the hot water extraction approach –both are very effective and you can rest assured the drying time will be surprisingly quick. Then a final inspection of results can begin and the best part of all is that customers participate in it. In case you’re not hundred percent satisfied, we’ll re-clean the carpet for free. This offer is not to be missed! Contact our assistants over the phone to make an appointment for our outstanding carpet cleaning in W8 Kensington and get a free quotation today!